and support all of our 10 programs of assistance. The proceeds from the WE CARE Thrift Store covers all administrative costs and provides funds for the life changing programs of the ministry. 100% of all financial donations to the ministry are used directly to assist clients that come to our doors for assistance. The WE CARE Thrift Store offers a continually changing inventory of quality furniture, electronics, clothing, household items, antiques, collectibles, bedding and more. We also provide emergency assistance to Weakley County residents in need through the office application process. Forms of payment: Weakley County check on local bank with photo ID and cash. We accept no bills larger than a $20.00 bill. Coming June 14th - credit/debit card transactions. Who can shop? ANYONE and everyone of all income brackets – we are open to ALL of the public on these days to shop in our store. We have collectibles and antiques and items that we need collectors and individuals with more discretionary money to purchase so that we can provide through our 10 assistance programs for those in difficult circumstances. 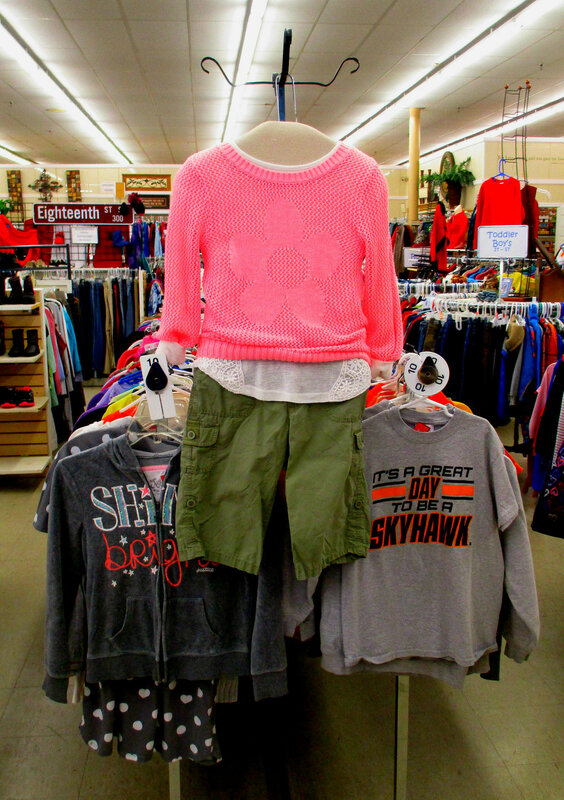 Your shopping in our thrift store gives you a great bargain and turns donations into peas and corn, dental and vision programs, school supplies, toys for Christmas, utilities and rent assistance. What are your prices like? We have items for all income ranges. If you need low priced essential items - a couch for $10.00 or knick knacks and household items at 3 items for $1.25, come and shop our outside sales area to fit your budget needs. If you like antiques and collectibles and china and other non-essential items, shop inside our thrift store and know that you still are getting a bargain but helping the ministry with your purchases.